These principles are not limited to design. They articulate, with perhaps two exceptions (#2 and #8), very powerful principles on which to build a company. And it’s not too difficult when we look around, to see these principles practiced by companies we admire. For example – Principle 1 Focus on people – is very much a part of Apple’s message. Thomas Watson coined the tagline “Think” (ultimately used by IBM) in the early 1900’s. It was clear to many in the mid to late 1990’s that IBM had lost its focus. 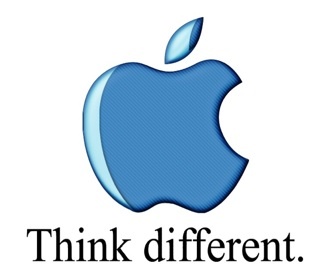 Apple’s “Think Different” campaign (used by Apple from 1997 to 2002) was innovative and perhaps a play on IBM’s “Think” campaign. It demonstrated that Apple understood its customers, what they wanted, how they worked, and understood their dreams. And today – almost every single Apple user will tell you that Apple “gets it”. Not too many will say this about IBM. Principle 3 is a fundamental truth that some companies ignore and most don’t understand. Just take a look at the bloated offerings from Microsoft, Oracle, and numerous others. Features upon features upon features. Then take a look at products from companies such as 37signals, zendesk, and Google. It takes an amazing amount of discipline to keep things simple. Really. The urge to add just one more feature, just one more little tweak is great. But there are plenty of good reasons why one must fight that urge. In fact, the gang at 37signals wrote an excellent book about building successful web-based applications and keeping things simple – and a free version is available for all to read here. We learned a thing or two by reading that book. Principle 4 is extremely important because very few companies can exist solely on a diet of one or the other. Good products should be able to speak to both beginners and experts. Principle 5 – dare to innovate – is critical to success, particularly on the Internet. There is a ton of noise online (and offline) and it is extremely difficult to break through that noise. Innovation is one way to do it. Build something innovative, something exciting, something game-changing, and people will notice. (Examples: iPhone, YouTube, ). Principle 6 is often forgotten, particularly when working in the U.S. It’s a small world, and sooner or later, a successful brand will need to flex its muscles overseas. Principles 7 – plan for today’s and tomorrow’s business highlights a real problem area for many companies. Most companies are so fixated on their performance today that they forget to plan for the future. They make decisions that result in short term gains in exchange for long term losses. This is very short-sighted. It was both interesting and bold in 2004 when Google published an “Owner’s Manual” by its founders, Larry Page and Sergey Brin, in which they said that Google would not succumb to Wall Street’s demands for short term results. To the contrary, the manual said that Google would take big risks and reserve the right to make big mistakes. And history has shown that strategy to have been a resounding success. Principle 9 – be worthy of people’s trust – is a fundamental principle that SHOULD define every single company. Real relationships have at least one thing in common – trust. I am not talking about the relationship you have on Linked-In when you have 500 users – most of whom you don’t know – in your “network”. I am talking about real relationships we have with our friends and loved ones. And when I think about one of the most important things I want our customers to say about us, I always come back to this principle – I want them to say that we are worthy of their trust. And it’s not too difficult to see why. People love Apple products because they trust Apple to have some of the most innovative and friendly products in the world. And that trust is well-earned. Finally – Principle 10 – add a human touch. It’s no coincidence that our own site is more like Skype and less like PriceWaterhouseCoopers. When we looked around to see what voice we liked and how we wanted to talk to our customers, we looked at ourselves and what we like. We wear shorts and sandals to work. We play ping-pong (and soon, Rock Star on the Wii). We work hard, and we play hard. And we wanted to have a little fun. Yes, crowdSPRING is a business, but many companies have shown that a business does not need to wear a three-piece suit. (Examples: Skype, Threadless, Flickr).